VICTORIA -- Finance Minister Bill Morneau says fighting money laundering in Canada and abroad is on the federal government's agenda. He says the federal government is working together with British Columbia's government to combat money laundering. 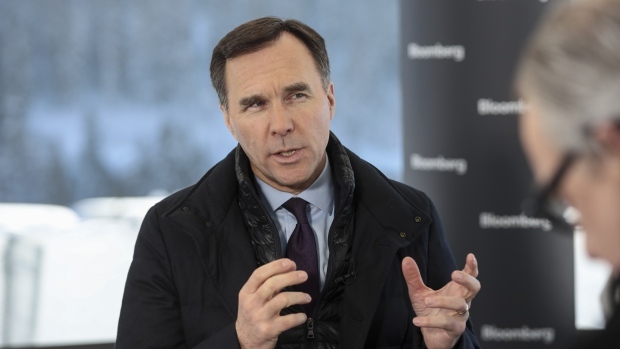 Morneau says the government's focus on money laundering also spreads beyond Canada's borders where there are global concerns with dirty money funding terrorist organizations. The minister made the comments at a news conference following a speech to members of the Greater Victoria Chamber of Commerce. Reports last year from an international anti-money laundering organization and a RCMP intelligence team concluded some B.C. casinos and luxury Metro Vancouver home sales were being used to filter money by organized crime groups. B.C. 's Attorney General David Eby has said the fight against money laundering requires the combined efforts of the provincial and federal governments and law enforcement agencies.